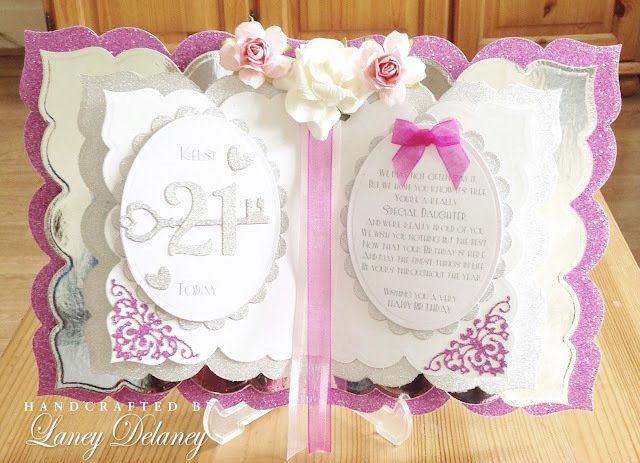 A really beautiful book card Laney, how special for the lucky lady on her special day. It's lovely to see you at our 9th Birthday celebrations at Allsorts, many thanks for joining in. So beautiful and elegant Laney...sure to be treasured!! Thank you for sharing with us at Fussy and Fancy...good luck! Absolutely fabulous colours! Thank you for joining in our Birthday celebration at Allsorts challenge.